“My Government continues to work hard to build and strengthen our enabling investment environment,” Duterte said. Duterte boasted of the Philippine economy’s growth as he asked whether the ASEAN is on track towards achieving its goals under the United Nations 2030 Agenda for Sustainable Development. “For ASEAN, our region has maintained a steady growth path. We are connecting more with the world,” Duterte said in the gathering, which was also attended by UN Secretary General António Guterres, International Monetary Fund Managing Director Christine Lagarde, and World Bank President Jim Yong Kim. 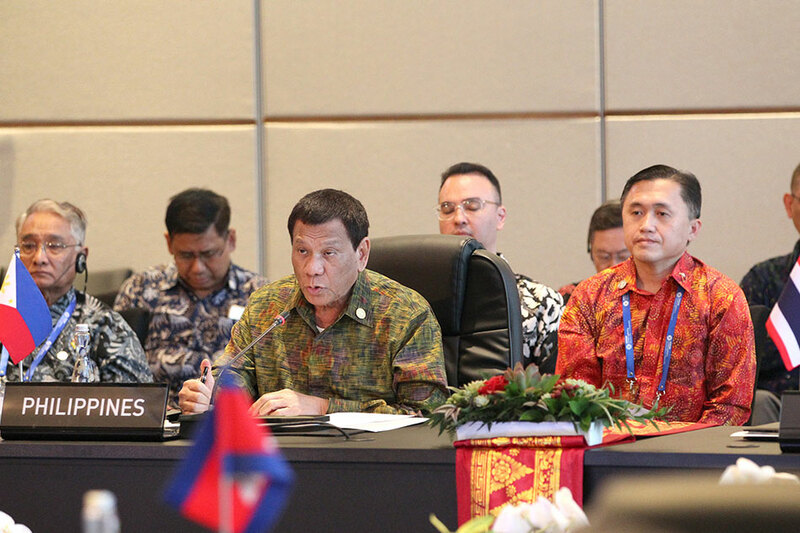 Duterte noted that ASEAN’s trade grew almost 15 percent last year, while foreign direct investment grew by almost 12 percent. The President also expressed concern over the threat of terrorism and violent extremism, transnational crimes, and natural calamities. “We have no other option but to confront these challenges head on. To do so, we must be prepared to invest in ourselves,” Duterte said.